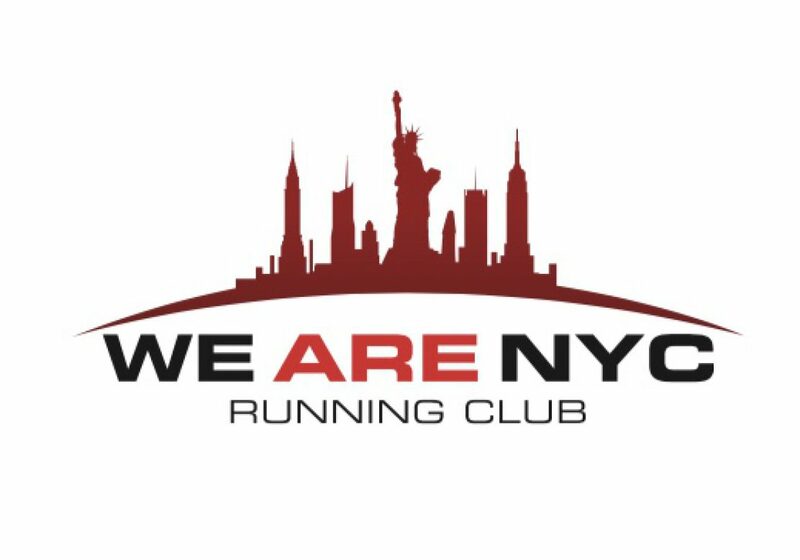 Upcoming WE ARE NYC RC Runs! Happy hump day to everyone out there! The sun hasn’t come out in New York city that much the last few days but that doesn’t keep this group from running. So many of our members continue to post their “rainy days” run since they keep gaining their motivation to run in the rain from the group itself! Another benefit of being part of a running community like ours! With that being said, here are some of our upcoming group runs that you all can partake in to keep that motivation going! Hope to see you at one of these! Club Members At Last Weekend’s 5th Avenue Mile! • WHEN – Thursday, September 13, 2018. 5 Mile Run & HIIT Training! • WHAT- 5 mile Central Park Loop/HIIT workout 10 mins of high intensity interval training, followed by a one mile run to a location in central park. Repeat 5 times for a total of 5 miles and 50 mins of HIIT. Led by one of our club runners Tobias! • WHEN – Saturday, September 15, 2018. Members at the NYRR 15 Mile training series! 18 Mile one coming up this Sunday! NYRR NYC MARATHON TRAINING–18 MILE RUN! • WHAT- 18 mile training run. While this is a NYRR run, you can run this together w/ a club member! After all, it is an 18 mile run! • WHERE- Central Park – Meet by 102nd transfers on East side by softball field 8. • WHEN – Sunday, September 16, 2018. • TIME-Meet up at 6:30am, run time 7:00am! Fred Lebow Half & NYC Marathon Tidbits! Well my friends we made it to the end of another week! The weather is supposed to be a lot nicer in the NYC area this weekend so if you have been thinking about getting out to start running, this weekend is a good time to start with warmer weather in store! Saturday should reach close to 50 degrees with Sunday seeing 45 degrees. If the weather doesn’t inspire you to get out then, maybe the runners toeing the line this Sunday will in Central Park. On Sunday the New York Road Runners club will be holding the Fred Lebow Manhattan Half Marathon in Central Park. 2 and a half loops of the standard loop in Central Park will be run. As of now the race is sold out so there will be lots of runners conquering the 13.1 miles on Sunday. What is more inspiring than having a sold out half marathon in the middle of January! A big salute to all of the runners running the race on Sunday and don’t forget to smile for Fred when you cross the finish line! The marathon is a charismatic event. It has everything. It has drama, competition, camaraderie and heroism. As the Fred Lebow half marathon is run this Sunday, earlier in the week, the race Lebow founded opened up its lottery to accept runners who wish to run the 2018 version of the TCS New York City Marathon. This year’s marathon will be Sunday, November 4th. This race has become one of the hardest races go get into. I was giddy when I received my acceptance into the race earlier this week and had to post something about it! I know however that not everyone will be so fortunate. It has become so difficult to get accepted into this race, that last year, only about 16,000 runners were accepted via lottery. Close to 100,000 applications were received in the lottery. That means only 16% of runners were accepted via lottery! So if 55,000 runners make up the race- where did the other 39,000 come from? Here are some other options for you to explore if you don’t like the 16% odds via lottery. 9+1 program. For me this is the easiest and most assured way of getting in. It is also the one that requires the most work. It simple. This is the option I opted for last year and how I qualified this year. How to do it? Run 9 NYRR qualifying races and volunteer to work one and you automatically qualify for the following year’s marathon. That won’t get you into this year’s marathon, but you are assured to be in for the 2019 marathon. Then there is the endless list of charities that you can run for in the marathon. Each charity has a number of spots reserved in the marathon however, you will be asked to raise money for that charity. Usually the amounts that you must raise are over $2,500 and that might be daunting for some. If you are reading this from another country, you are in luck! If you plan a vacation to New York City from another country, there are guaranteed spots reserved for several runners that are willing to book a vacation to NYC. The vacation must be booked with one of their approved tour directors. More info on that can be found here. Then there is luck for really fast people. If you are an elite athlete, you will likely get in. But if you are not elite but still fast, there is hope for you. There are time qualifications by age group in the half marathon and full marathon. If you have run a time for one of these races faster than the time qualifiers then you are in luck! To qualify for the 2018 marathon you will hAve had to run the qualifying time in 2017. To see if you were fast enough, check out the time qualifying standards here! If none of these apply, I’m sorry but your just going to have to sit back and wait for those lottery results! I got turned down for 4 years in a row before I went the 9+1 route. I pray that none of you have to wait 4 years to get in. Lottery results are expected to be announced on February 28th. Close to 60,000 are expected to toe the line this year. Fred Lebow is surely smiling from above at what his race has become! If you have committed to start running in 2018, congratulations! Hopefully one of the things that you have done to help you towards this goal is to commit to a race. If you haven’t been a runner up til now, working up towards a 5k, a 5 miler or even a 10k can be a daunting task. But let’s not fret, with some patience and perseverance you can absolutely get there. In fact, I try to instill in most people that not only will you get there but you are going to enjoy it so much that you are going to want to do this again and again and maybe even on a bigger scale! With that said, I decided to list some key points to keep in mind as you prepare for that first race. These are from personal experience and I am sure they will help in your prep. In fact after all of the races I have done, I still follow these when I start to increase the distance of my races to distances I have never run before! Give yourself enough time to prep for your big day – race day! Plan right.Set a race date far enough out into the future that allows you adequate time to prepare for. Its perfectly ok to be excited and eager to get to your first race date but if you are new to running, you want to give yourself ample time to prepare. 3 months is a reasonable time to prepare for a race like a 5k (3.1 miles) or something comparable. If you have chosen something a little longer adjust the time frame accordingly. Start slow. If you are new to running, please do not try and run your scheduled race distance in the first month of training runs. For example, if your first race is a 5k, build up to the 3.1 miles slowly. Start in the first couple of weeks to run one mile without stopping. When that feels comfortable work up to 1.5 miles and so on and so on. Also, do not be afraid to walk in the beginning. There are some people that find it beneficial to take a short walk and continue running. This is your race and no one else’s! Your goal is to finish the race and feel good! Also, very important that most new runners overlook is stretching. Stretch 5-10 minutes before each of your runs as well as a few minutes after your runs. Listen to your body. If your body isn’t accustomed to running, certain muscles will talk back to you at first. Don’t feel the need to run everyday. Allow your muscles to recover before going out for another run. At first, run every other day to allow your muscles to recuperate. Do not feel the need to run 7 days a week. For older runners, you may need two days off between runs. That’s perfectly fine because while you want to run your target distance on race day, we also don’t want you injured while training for it! Keep it interesting. Many people shy away from running because they say it is boring. I cringe when I hear that because sometimes they give up on running before ever running a race! I firmly believe that if you stick with your running until you have conquered that first race, you may get addicted to it. So how do we keep it interesting? Listen to music while you run works for me. Also, don’t run the same routes every day because that can get boring. Sometimes I say that running is the best sight seeing in your neighborhood. Also running with a friend or a group can keep thinks interesting. If you are engaged in good conversation, those miles will pass by fast! Finally, pick a running application to track your runs. The stats on these things are amazing and they actually can add a sense of fun to your runs. Check out Strava (in my opinion the best) or Map My Fitness by Under Armour. Change up your routes and become a sightseer in your area while you run! Ignore social media accomplishments. Yes you are reading my blog and you might follow my social media and I am telling you to ignore me! But wait – don’t ignore me all together! Ignore the accomplishments of other runners. Don’t be fixated on the distances or times that other runners are running and posting on social media. As I mentioned before, this is your journey and no one else’s. Don’t get me wrong, I think its good to follow runners on social media to see their experiences, to see what works for them and to learn from their mistakes. But sometimes new runners, say “well I am never going to run that time” or “gosh, my times for a mile or so much slower than theirs”. Who cares!! All of these runners started out somewhere and now you are! Your progress is what is important so while its good to follow other runners, never ever compare yourself to anyone else! Trust the process and see it thru to the end. As I mentioned before, so many folks start to run and then give it up. I cannot stress how wonderful it is to run that first race. And then to run the next one. And the next one after that and so on. The experience has so many emotions. The nervousness before the race. The comraderie with other runners. The struggle of the race itself. The sense of accomplishment when you finish. There may be even more emotions for you as well and this continues to happen with each race you run. But lets not get ahead of ourselves – just get thru the first race! The year is just getting started and with so many races that 2018 has to offer, your possibilities are endless. Hope the above can help you get on track towards your first race. Drop me a line and let me know how it went. Oh and hope to see you are the finish line! Stick with the process and maybe I’ll see you at the finish line! Display Your Pride For New York City! New York City has just gone thru one hell of a cold spell. The temperature has not been near freezing for over a week. Wind chills have had it feeling below zero for quite some time. Still, I have seen so many posts on social media of people running in this cold weather.Seeing this is quite inspirational. It shows a drive and determination that you just don’t see in too many place. I myself ran a 5k on New Year’s day in zero degree weather. New Yorkers for lack of a better term can be crazy at times with their running. For me, it has to do with a very busy schedule so my time to run is limited. That being said, whenever I plan on getting a run in, I hold myself to that no matter what it is doing outside. For others, as well as myself, there is a great sense of pride to running in New York City. That can also be said for the hundreds of thousands that flock to New York City each year to run races here. With all of the above in mind, I had an idea to make accessories and shirts with the hashtag #irunnyc on them. For me it is one of my favorite running hashtags. I’m proud to be from New York City and I love running thru out the streets of New York! I have had several runners, both from New York and from out of town express the same pride. I’ve started a page on this blog that has a few items on it that display the hashtag. I am hoping that you will give it a visit and check it out. If you do, check back often as I will be adding more things from time to time. If anyone has something that they would like to see with the #irunnyc hashtag on it, let me know and I will try my best to make it happen! If nothing else, I will have fun wearing some of these items over time to some of my upcoming races! For now, be proud of your city and display your pride with #irunnyc accessories and apparel! A very festive “Hello” to all of my readers out there! I decided to take a few days off for the holidays and I have to say while I enjoyed it with family, I cannot help thinking about my running and getting my racing started in 2018. Even though I took off from this blog for the holidays, I have managed to get out for a few runs. It has not been easy I will admit that. As I am writing this post the temperature outside feels like 4 degrees with a pretty stiff wind. However every time I do complete a run, it always feels great and that’s something I hope that all of you who have been doubting a run in this weather can experience! The weather was very cold by me this week! While it has been difficult to take that pivotal first step for each of my winter runs, I have been very fortunate to be surrounded by a great group of runners who have pushed each other to continue training for the 2018 United NYC Half Marathon despite the cold weather! Many of these runners are from all across the country. The temperature in some of these states has consistently been colder than NYC and yet they continue their training. There are stories of “come backs” from injuries and different setbacks along with relentless efforts to conquer personal race goals in 2018. As I am seeing these great runners in this group, I have developed a short list of objectives that I am choosing to serve as guidelines for myself to take my running and my overall well being to the next level. I wanted to share those with you as we approach 2018 because I firmly believe that anyone can apply these to their personal journeys. I hope you enjoy them and better yet, use them to guide you in 2018! I am not saying to go out and find people who win races, but people who are strong minded and aim high to achieve and meet personal objectives. As I mentioned above I’ve been fortunate to be part of a Facebook group of motivated runners. That is the type of group you want to surround yourself with. But that’s not all. Sometimes you also need to limit the time around people who will do the opposite. You know the type – the ‘nay’ sayers. Those that tell me “your crazy”, “why run, just walk” or some other absurd negativity. These are also the type who might get you to do things that might otherwise pull you away from the things you really need to do. You truly become a product of your environment so make that environment the “winners”. Everyone in this pic belongs to my gym – a couple are trainers. All of them have that positive energy around them! Find those winners! My next objective for 2018 is to remain consistent with my running journey. The same notion can be applied to anyone out there. Whether you want to be a runner or you are aspiring to be a fashion designer or any other thing that you are passionate about, it has to be on your mind ALL THE TIME and you always have to strive to be better at it. Life has its ways of being very busy at times and I know I am guilty often of using that as an excuse to not get out and run or have a work out. So this year one of my main objectives is to keep the consistency as much as possible and work at avoiding busy schedules and conflicts coming up that keep me from my consistency. In my first objective that I described above those ‘winners’ that you should be surrounding yourself with will not allow you to fall into the temptation’s or conflicts that will keep you from your consistency. This is another reason why you should strive to surround yourself with positive influential people who will not tempt you to do things that could be destructive to your goals. A perfect example for me are the several friends who have gotten me out the night before crucial training runs or better yet, a night before a race day. You can always find a reason to “have to” attend a party or a happy hour. But when you are focused in on a goal, you have to maintain yourself as the number one priority. Those positive influences also will understand if you say no to a night out of drinking. Better yet, they may never even pose the invite to you. That will inevitably help you stay more consistent on your objectives. I enjoy a good cigar from time to time, but I have to learn to save them for post race only! Last year I started to run several races. I was fortunate that I had several personal bests during a lot of my races. However several of those personal bests were simply because it was the first time running those distances (lol)! I had never run a 5 mile race before. Never ran a 10k before. Never ran a half marathon before. I hadn’t run a mile all out since senior year in high school! Therefore now in 2018, the floor has been set. I can continue to allow ‘father time’ have their way with me and allow myself to age and use that as an excuse for not getting faster, or I can push like I haven’t before and try to best those times I set in 2017. As I mentioned above, the cold weather has been tough to train in. While my longer term training plan at the moment is geared towards the half marathon that I am running in March, mentally I am also looking at a race that I have in a couple of weeks. That race is a 10k in Central Park. I only ran one 10k in 2017 so my objective is to beat this time. I really don’t want to make any excuses about cold weather being a factor. I will be disappointed if I don’t PR at my upcoming 10k. This is the challenge I present to myself. These are the challenges you should present to yourself if you want to continue to improve yourself! A pic from the only 10k I ran in 2017. Must run faster than 51:16 in my upcoming 10k! Accept Your Mistakes, But Learn From Them. This point is something that I did a lot of in 2017. I ran tangents on race day horribly in 2017. There were races where I ran so much more in distance that I swore my GPS was wrong. I cannot do that in 2018. That partying that I did before race day? No mas. Can’t have that repeat itself in 2018. Lack of consistency? It can’t happen either. We all know where we have failed or hit a bump in the road. Allowing yourself to accept those mistakes is fine, but allowing them to happen again is a no-no. The only way to improve yourself is to understand why you made a mistake, fix it, and don’t allow it to happen again. New mistakes will happen in 2018 and you will have to devote time to work on those mistakes. We don’t have time to keep dwelling or re-visiting the mistakes of 2017! I’ve been saying for weeks that I cannot wait for 2018 and I’m excited even more for it now! I also can’t wait for the weather to get warmer, but I don’t know when that will happen. I do know that 2018 is just days away. If you haven’t decided on a way to make yourself healthier or to simply create a better version of you, obviously now is the time. The gym’s may be crowded and everyone will flock for that healthier food next week at the supermarkets but don’t let that deter you from starting the process! Use my 4 guidelines above to work at the better version of you! And like I always like to say, when all else fails, get up out of your seat and GO FOR A RUN! I want to thank all of you that have been reading this blog this first year of its existence and wish you all a healthy, safe and prosperous New Year! March and the United NYC Half Will Be Here Before You Know It! The calendar says that it is only November but I already have the United Airlines New York City Half Marathon on my mind. I ran the 2017 version of the race earlier this year and while I know I have not run the full New York City Marathon, I can tell you that the United NYC Half was a lot of fun and I was very impressed with the organization and promoting done for the race. This year, they have decided to change the course up and make this a true New York City Half Marathon. In previous years, the race was run exclusively in Manhattan. This year, the race is starting in Brooklyn, and going over the Manhattan Bridge and into Manhattan up the east side, thru Times Square and ultimately ending in Central Park. Many people have expressed their excitement over the new course as it gives the race a mini feel of the New York City Marathon. New Course Starts The Race In Brooklyn & Ends It in Manhattan! One thing that I do remember about the 2017 NYC Half was the vibe that I felt days before the race at the expo, before the race on race day and of course during the race itself. I realized running this race, that there is a strong running community out there. When you come across another runner, you can usually engage in lots of conversation. Soon you find that some of your concerns, your excitements and other feelings that you thought were unique to you, are actually shared by other people. So in the spirit of the running community, I decided to start a Facebook group that is dedicated to the 2018 version of the United NYC Half. The group is closed but just request to join the group and you will be allowed in. You can find that group here – 2018 United Airlines NYC Half Marathon. I started this because I remember getting ready for the race and not knowing what to expect, not knowing where to go, not knowing what to wear and so many other things. Now as a returning runner, I still have questions running thru my head about this race. Clearly this group can serve as a benefit to any runner so hopefully I will see you in the group if you are indeed running the race. The group belongs to all those running the race, its not just my group. If you have a question or comment – fire away! Hope to see and meet some new faces running the 2018 United Airlines NYC Half Marathon! MarathonFoto Always Captures Great Shots!